Lyon is THE destination for foodies. Melting pot for top international chefs, Lyon has a lively eating and drinking scene which continues into a post-restaurant-closing hours scene when restaurant staff enjoy their own eating and drinking. As well as rich Lyonnaise cooking, this city is rich in culture, with plenty of history to uncover, art to experience, treasures to purchase and even civilised strolling to be done. 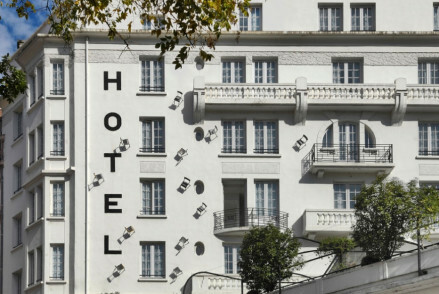 The Hotel Guru's selection of the best places to stay in Lyon has something for everyone from the budget bolthole to the truly luxurious city pad with Michelin-starred cuisine. The 'newest' part of Lyon - because of redevelopment - is the Confluence. 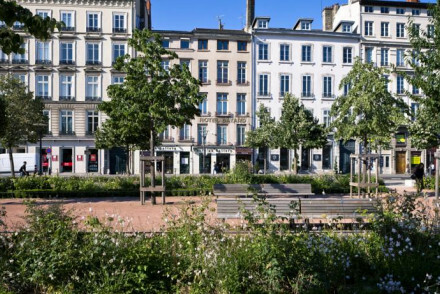 This is another good spot for restaurants and is best reached by ferry, mostly because the views of the petanque parks and the city's architectural peaks are charming. While Lyon's collection of art, historical treasures and architecture are certainly impressive, this city is really famous for food. There's one stretch of riverside which just seems to be food market after food market. The really ancient part of Lyon, the Roman bit - Lyon was once the Roman capital of Gaul - is best reached using the funicular from Vieux Lyon metro station. The highlights are the Roman ruins: there are two theatres here, capable of seating 13,000 people, and the Gallo-Roman museum. Lyon's other great museums are the Musée des Beaux-Arts - which houses works by Renoir, Degas, Monet, Pissarro and Cezanne; The Musée Lumière - where cinema began; the Musée des Confluences - an ambitious science and technology museum; and the WWII museum. Les Halles de Lyon Paul Bocuse, Lyon's purpose-built wholesale market, is a great place to start if you're here on a culinary pilgrimage - treated like a giant pick and mix by the locals who you'll find eating at the stand up tables. Bursting with specialist stalls and local producers with hundreds of years of experience this covered market is full of goodies. 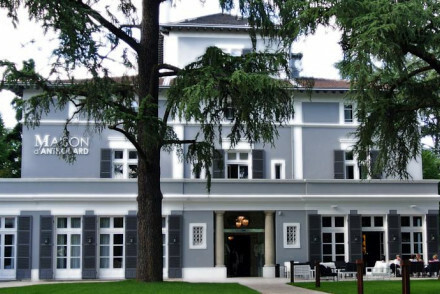 Given its year-round popularity as a tourist destination, to avoid disappointment make sure to book ahead - the best places to stay in Lyon get quickly filled up! Top choice for a central location, the Hotel le Royal doesn't just have a great restaurant, it's also has a lunchtime cooking school. Classical elegance, and everything you could need. Cour des Loges is grander. In fact it's nothing short of spectacular. More than just beautiful, the decor here borders on the theatrical. 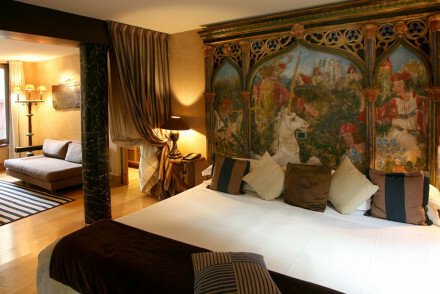 Five stars worth of individualised decor, hand painted murals and silk tapestries and a Michelin star restaurant. Romantic and special. Without a doubt one of the best places to stay in Lyon! 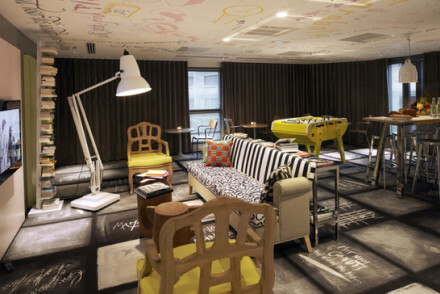 The College Hotel is a design hotel lite, with a school theme which ends up being quite chic. The rooms are all white and have excellent views, some with private terraces as well. The communal areas, cafes and restaurants make you imagine your school was more Hogwarts than Grange Hill. 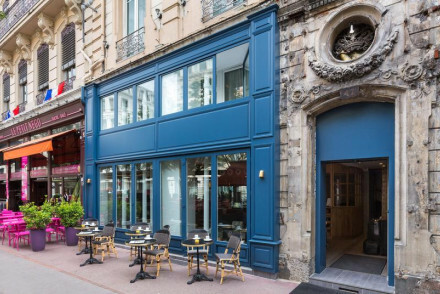 For city sophistication, try the Globe et Cecil, a 60 room contemporary townhouse hotel right in the centre of Lyon. Hotel Bayard Bellecour is a smart stay in a superb location, boasting individually decorated rooms with tasteful furnishings and offering buffet breakfasts each morning to set you up for the day. Wonderfully located overlooking the Rhone and offering stylish contemporary rooms, Okko Lyon Pont Lafayette is a top choice. Hip and chic. If you don't fancy the hustle and bustle of Lyon's centre then consider staying at Maison D'Anthouard. The rooms are chic and contemporary, whilst there's also a lovely garden and a restaurant serving up seasonal dishes. Les Hautes Bruyeres, a ten minute drive outside the centre of town, provides rustic chic accommodation as well as a lovely outdoor pool. You can even spend the night in a gypsy caravan if you so desire! A charming stay. Lyon's Mama Shelter is what many of us imagine Google HQ might be like - plenty of technology, not a huge amount of space, but fun use of what there is. And rooms start from just £41 per night. 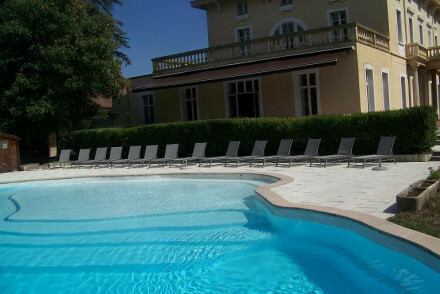 Converted from a convent, the Villa Florentine now offers every luxury and comfort imaginable. 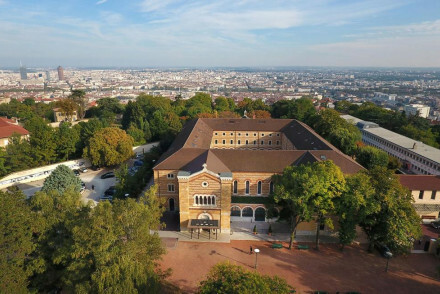 There's a gourmet restaurant, a spa and outdoor pool, and all with spectacular views over Lyon. 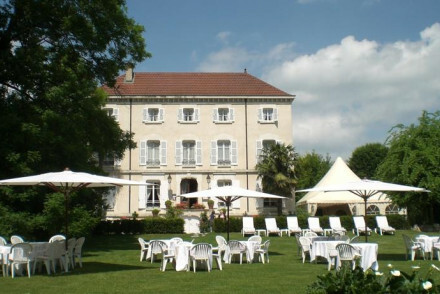 The 5* Pavillon De La Rotonde boasts gorgeous rooms, a state-of-the-art spa and lovely gardens. And, they've even got a two Michelin-starred restaurant to boot! Dreamy. Lyon's nicest weather-wise in the summer, with the average daily temperature reaching 22°C in July. This however is peak season, so for a quieter (albeit still warm enough to head off sightseeing) alternative consider coming in May, September or October. Visitors can fly into Lyon Airport, 20 km southeast of the city and well served by public transport links to the centre. easyJet fly direct to Lyon from Luton and Gatwick, British Airways from Heathrow and Flybe from Southend. Browse through our list of all the best places to stay in Lyon. Widen the net to search through our recommendations across the border in Geneva or in Grenoble. Think Charlie and the Chocolate Factory plus the kind of gadgetry you might find at Google HQ. Super modern, super cool, super eclectic. Each room is different, each as fun as the next. The penthouse has access to the roof. City style for technophiles. A gorgeous family home in hectares of parkland with an excellent Michelin star restaurant. Rustic chic bedrooms with attractive bedspreads and pastel wallpapers. Stunning grounds filled with ponds, raspberry groves, violet carpeted forests, and peacocks roaming the lawns. A romantic gourmet spot. Sitting right in the heart of Lyon, in a fashionable area, this 4* property is a perfect base for shopping and sightseeing. 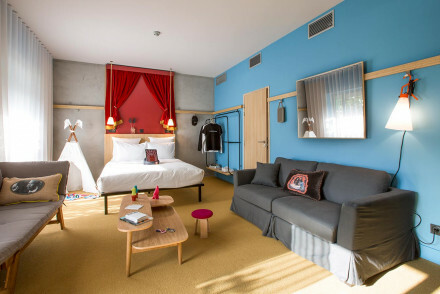 Forty-six cheerful rooms in modern style have quirky touches reflecting Lyon's Silk Route heritage. The metro is nearby, and excellent restaurants lie within walking distance. A glorious hotel spread across four traditional buildings in traditional villages with cobbled streets. Romantic rooms, family rooms and suites have four poster beds, fireplaces, stone floors, and attractive fabrics. Excellent regional cuisine and very good value. Families - Some rooms sleep 4. A stylish hotel that's the epitome of industrial chic. The 98 comfortable rooms feature crisp contemporary decor, and quirky theatrical touches pop up everywhere. Restaurant serves delicious organic food. With music nights and other happenings, it’s perfect for couples, families, groups of friends. 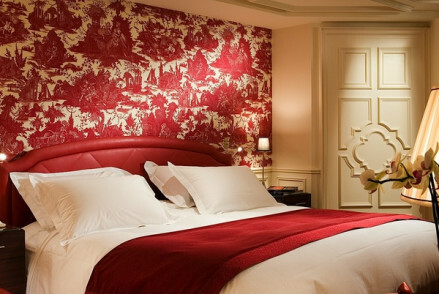 An elegant hotel on the edge of Place Bellecour, in the heart of Lyon. Each room is individually decorated and with chic wallpaper and soft furnishings. Wake up each morning to a buffet breakfast before going off and exploring the city's sights or make the most out of the nearby shopping. 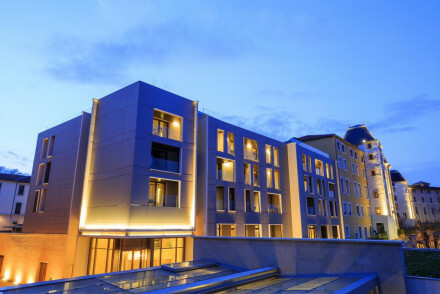 City Style - A chic hotel right in the heart of Lyon, offering elegant rooms within walking distance of the main sights. Local markets - The Lyon Sunday market is especially worth a visit, head down and check out the fantastic regional produce for sale. A chic contemporary hotel overlooking the river Rhone. Rooms are stylishly designed in a distinctly minimalist and modern fashion. With the city centre on your doorstep it's the perfect bolthole for exploring the UNESCO World Heritage Site of Lyon's old town. A hip choice. Local exploring - Perfect for exploring this fascinating city, within walking distance of Lyon's Old Town and Saint-Jean-Baptiste Cathedral. City Style - A cool and contemporary design hotel, in the centre of the city, offering a chic club lounge and views over the river. Sights nearby - Twenty minutes walk from the sights of Lyon's Old Town and ten from Place du Maréchal Lyautey square. Perched above Lyon, this magnificent 4* hotel in a 19th-century convent brilliantly blends historic structure with contemporary art and design. Set in a park, it’s away from the hubbub yet close to the Roman sites and Vieux Lyon. More plus points - two fine restaurants, a pool, and an excellent spa. Outstanding location - Location is great for travellers interested in history, local food and architecture. 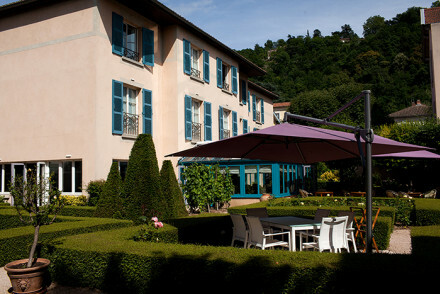 Boutique hotel just 15 minutes from Lyon city centre with garden, wine bar and restaurant. Bedrooms are spacious with striking contemporary design and modern simplicity. A peaceful garden outside the city with lovely greenery. The restaurant offers a selection of seasonal dishes. City Style - A stylish base just outside the centre of Lyon. Striking 'school' themed hotel in central Lyon. Contemporary rooms all in white with great views over the city, some with private terraces. A 'Refectory' themed bar and restaurant. An excellent variety of meeting rooms make it ideal for business visitors looking for something less corporate. Meeting Room - Excellent variety of meeting rooms. Charming guest house with pleasant garden and outdoor pool just 10 minutes drive from central Lyon. Rooms are rustic yet sophisticated with white washed walls & stylish furnishings. For something completely different you can spend the night in a gypsy caravan! Plenty of great restaurants nearby. Hideaway - Cosy rooms, private gardens or your very own gypsy caravan to retreat to. Classical elegance with a modern twist at this centrally located hotel. 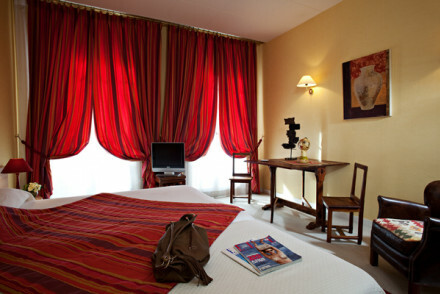 Palatial rooms and suites with lots of white, red, and cerulean blue Toile de Jouy and all the modern gadgets. An excellent restaurant and lunch time cooking school. Very comfortable safe option. 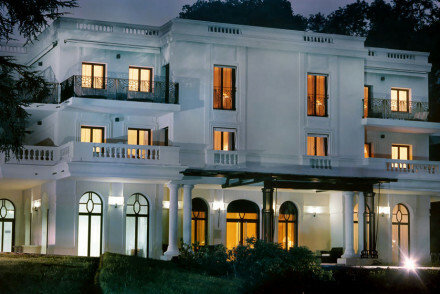 A serene country mansion that combines the traditional and the contemporary. Rough stone walls, steel, glass, wood, fixtures and furniture for minimalist effect. Enormous swimming pool, gourmet kitchen, and luxurious rooms. Something different, very special. 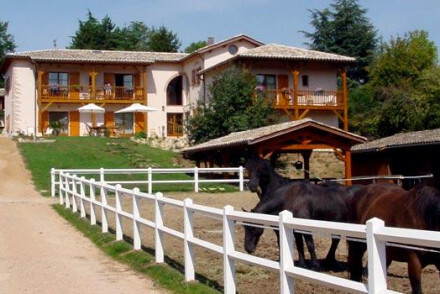 A lovely country house on the banks of a river, not far from Lyon. Very romantic rooms blend traditional materials with contemporary finishings for chic effect. Family rooms and a gypsy caravan too. 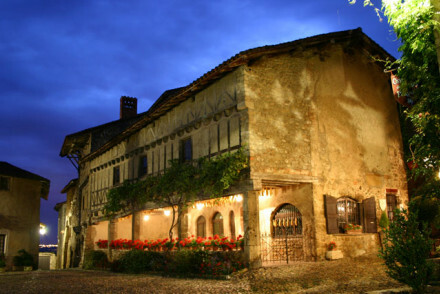 Excellent dinner by arrangement, lots of markets to explore, and plenty of Beaujolais wine tasting. Views - The view opens over the hills of Beaujolais. Sights nearby - An ideal base for visiting Lyon, the medieval towns of Perugia and Trévoux, for exploring the beautiful Beaujolais region. 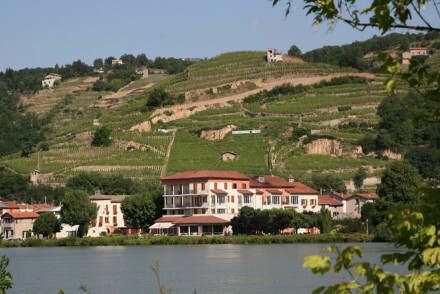 Set on the banks of the River Rhone and near a Nature Reserve. A hotel in a romantic location with riverside terraces and a gourmet restaurant. Charming rooms and suites in pinks, mauves and creams with private terraces. A haven for peace and tranquility. 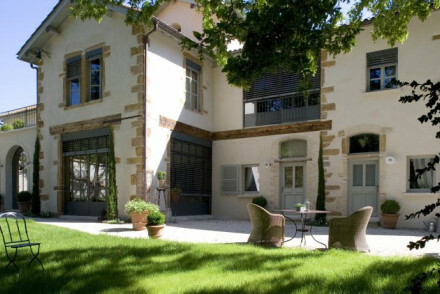 Outstanding location - On the banks of the Rhone. Pavillon de la Rotonde has 5 stars for a reason. Its spa facilities allow you to enter a state of complete zen, as does its gardens. Interiors are a wonderful hybrid of 1930s and highly contemporary decor, and each room is delicately furnished to provide the perfect place to chill out. 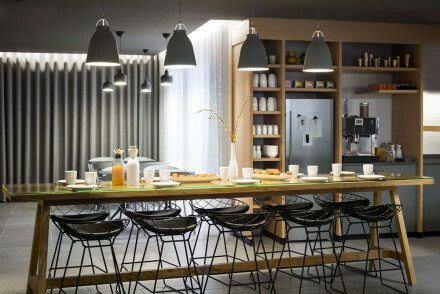 A contemporary townhouse hotel in central Lyon. Huge comfortable rooms with lots of natural light, marble fireplaces, and gilt mirrors. A sophisticated city spot. 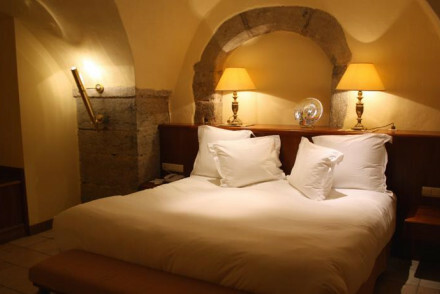 Recently renovated, this charming hotel is just 5 minutes from Vienne's city centre. Guestrooms and suites are spacious, with fresh contemporary interiors. The two restaurants have exciting and innovative menus and offer comfortable alfresco dining. A welcoming destination for food enthusiasts. Nothing short of spectacular. A Five Star hotel with a Michelin restaurant. Classical elegance throughout constructed by artists. Think romantic Venetian landscapes and Italian opera framed with silk embroidery. Fabulous spa, rooftop garden, and wine vaults. Contemporary design and Italian Rennaisance in an attractive former convent. Romantic rooms with private terraces overlooking Lyon. A gourmet restaurant, beauty treatments, and swimming pool make it a relaxing spot to explore Lyon from. Elegant accommodation on Fourvière Hill in Lyon. Rooms are luxurious with marbled bathrooms and contemporary style. The in-house spa is a complete delight and the hotel's in partnership with a nearby Michelin-star restaurant that serves excellent gourmet cuisine.